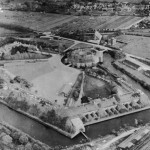 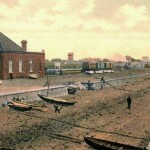 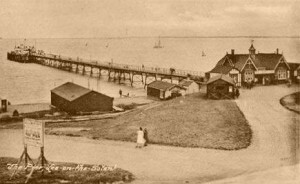 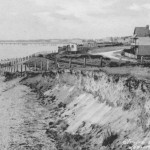 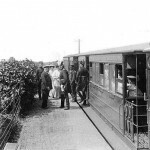 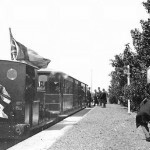 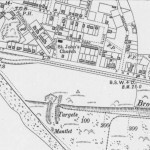 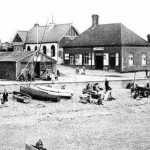 Today in Gosport’s Past:-on 12th May 1894, The official opening of the three and a half mile Lee-on-Solent Light Railway took place, enabling the first passenger trains to operate between Fort Brockhurst station and the terminus at Lee-on-the-Solent; initially, there were officially two intermediate halts on the line; at Privett (renamed Gomer Halt in October 1909), and Browndown. 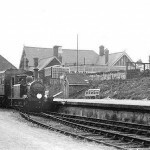 Trains for the branch used a newly constructed bay platform at Fort Brockhurst station. 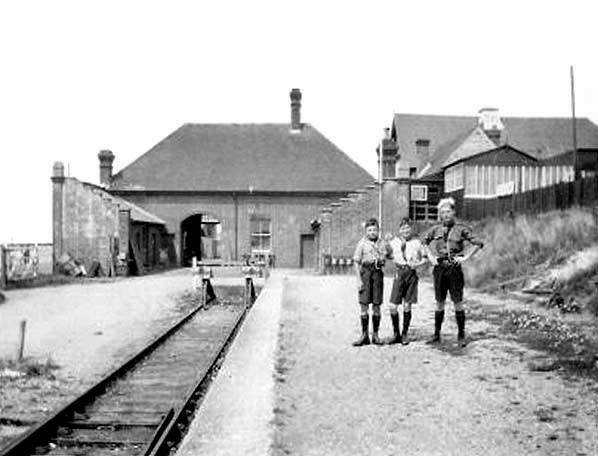 A third station was opened at Elmore Halt on 11th April 1910, almost 16 years after the line’s iopening; I’ve discovered that there was originally a passing loop at Elmore, and it WAS a stopping point, with a 4-inch platform constructed, long before it actually became a halt. 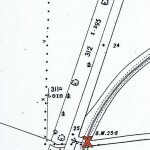 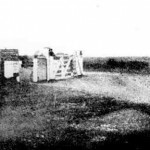 Similarly, it would appear that there was also a ‘stopping point’ at Pound Lane level crossing (later renamed Cambridge Road), although no form of platform was built. 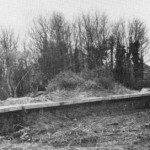 The makeshift stop in Pound lane was certainly used by trains conveying schoolchildren to the nearby school. 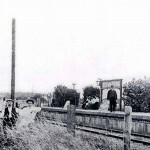 Other level crossings on the Lee branch were to be found to the near south-east end of Lee-on-Solent terminus (ungated); at Browndown Halt; and at Gomer Halt; there was also a foot crossing in Military Road immediately south of Fort Grange, where an unnamed lane extended from Wilmott Lane across Military Road, a foot crossing west of Gomer Halt, and a footbridge nearby. 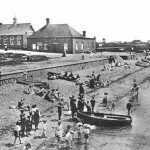 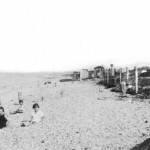 Lee-on-Solent was, like Angleseyville (in Alverstoke), all set to become a thriving holiday resort, but sadly, neither plan came to fruition, and the railway continually lost money. 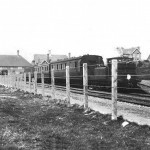 Until taken over by the London & South Western Railway in 1909 , the branch, classified as a ‘light railway’, had been an independent concern operated by contractors, using loaned locomotives & stock:- No. 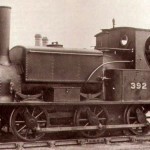 392 “Lady Portsmouth”, a Manning Wardle 0-6-0ST built in 1862, was loaned from the LSWR, as was No.21 “Scott”, a 2-4-0T built by George England & Co in 1861. 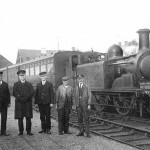 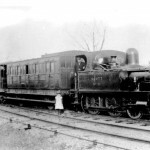 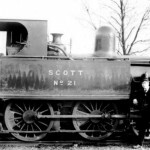 Things changed somewhat from 1909; ex-LBSCR locos were generally used used, and more standard coaches appeared, and this continued to be the case after the Southern Railway took over in 1923. 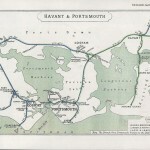 However, all this was a bit late in the day; takings on the line remained pretty abysmal, and motor buses now served Lee-on-Solent from Gosport, with more frequent services than the trains, and the end was clearly in sight. 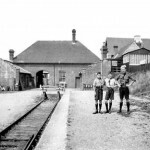 All three intermediate halts were closed on 1st May 1930 as a cost-cutting measure, but even so, the last passenger train ran from Lee-on-Solent to Fort Brockhurst on 31st December 1930, and instead of the usual crowds attending such farewells, the very last train carried just ‘six men and a dog’, so no-one seemed to much care about the closure, sadly. 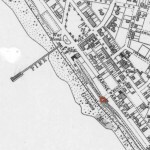 No – I don’t know the name of the dog! 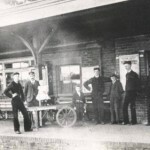 Photos of the train crew & station staff posing by the last train to depart show a total lack of sightseers and/or passengers; who said no-one cared about apathy? 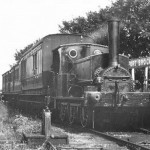 The final journey was hauled by ex-LBSCR ‘D1’ class 0-4-2T 2626, built c.1887. 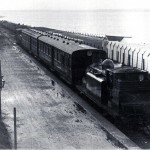 Goods services continued to/from Lee-on-Solent, but this came to an end on 30th September 1935, with the last goods train being hauled by ‘D1’ class 0-4-2T 2239. 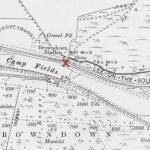 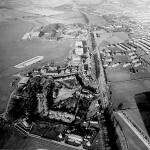 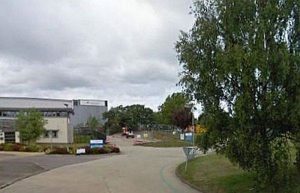 In the very early 1960s, the road from Privett Road to just west of Browndown army camp was built on the old railway trackbed. 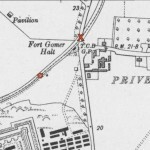 Browndown Halt was situated very slightly to the south of where Cherque Way meets Portsmouth Road and Privett Road; Gomer Halt was very slightly west of Privett roundabout. 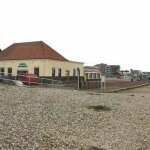 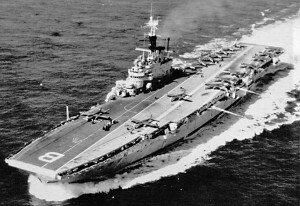 Here are some photos & maps relating to the Lee-on-Solent branch; credits to original photographers, and thanks to David Moore for digging out the maps.